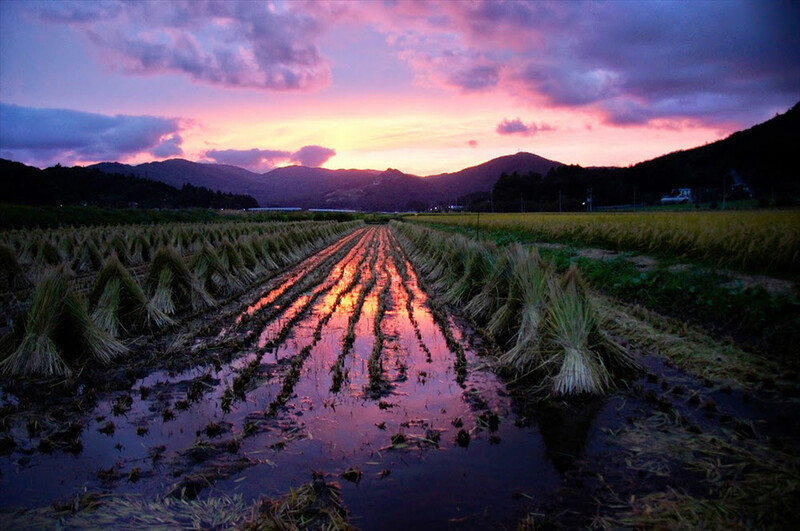 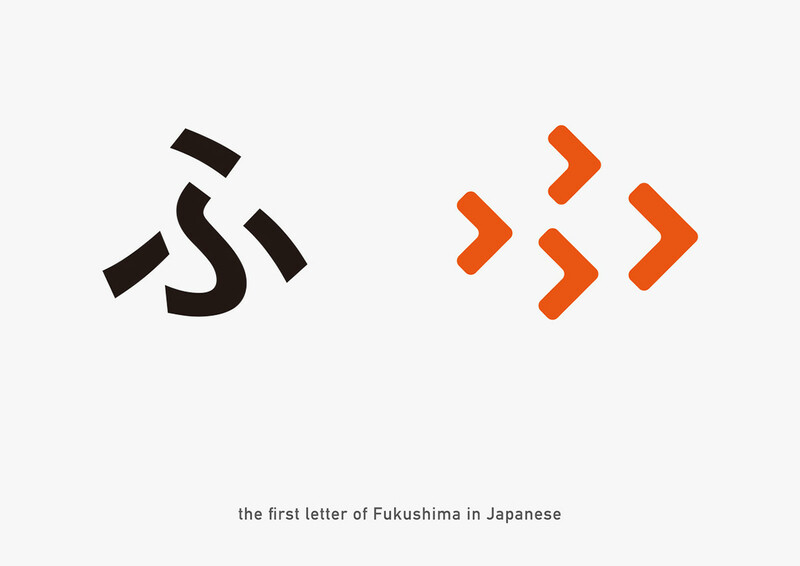 The symbol mark is made in a shape of the Japanese cursive syllabary ‘Fu’ which is the first letter of Fukushima. 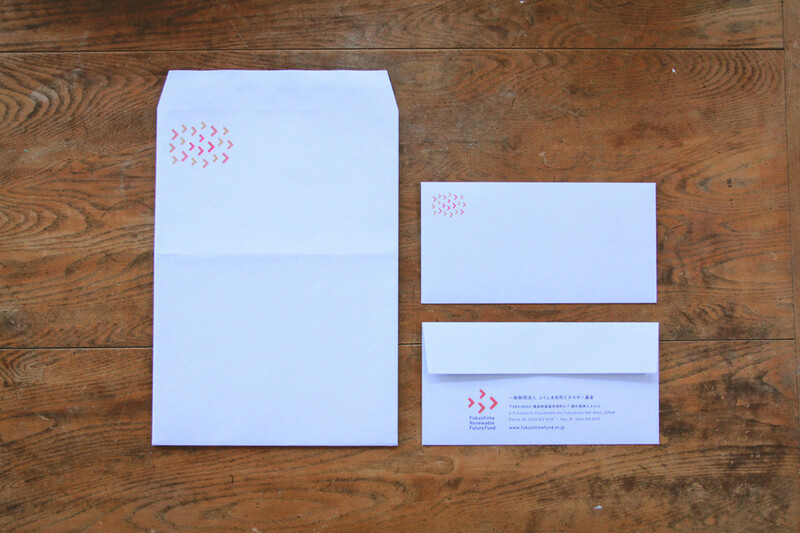 At the same time, it expresses a small light as a little hope and a small arrow as a little step. 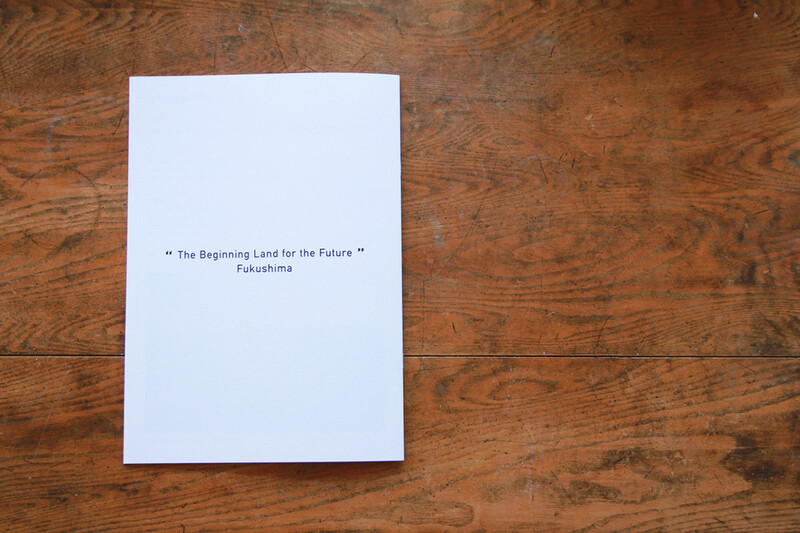 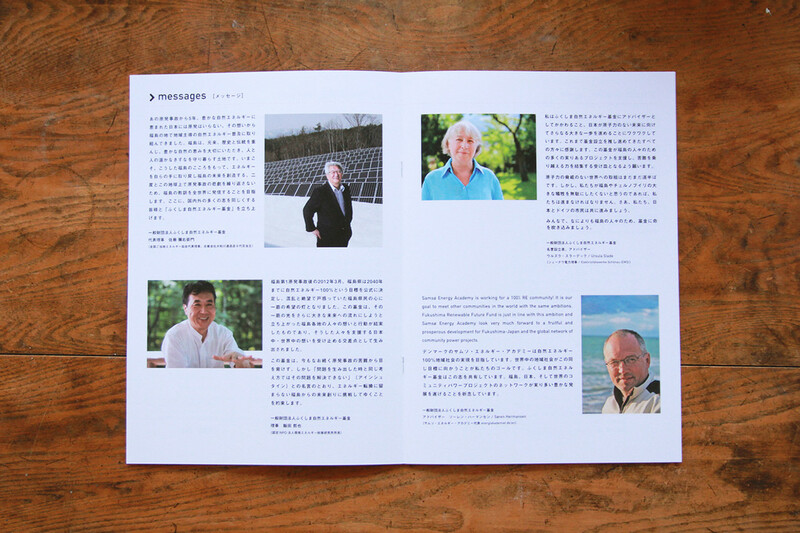 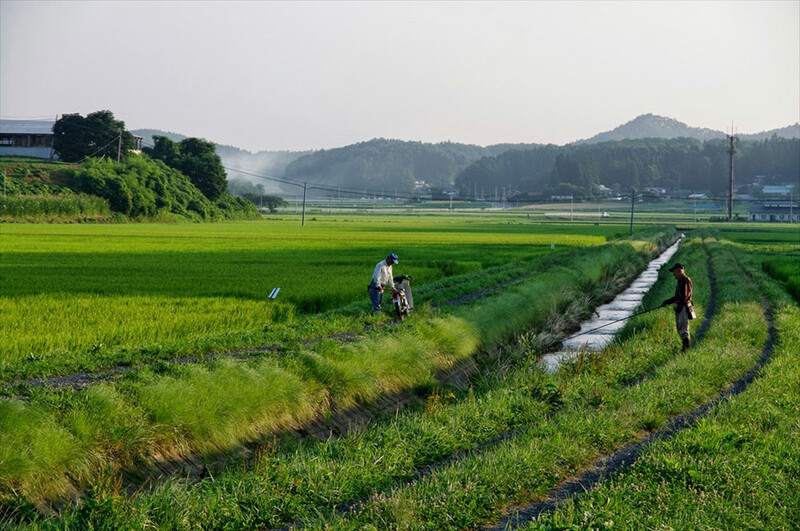 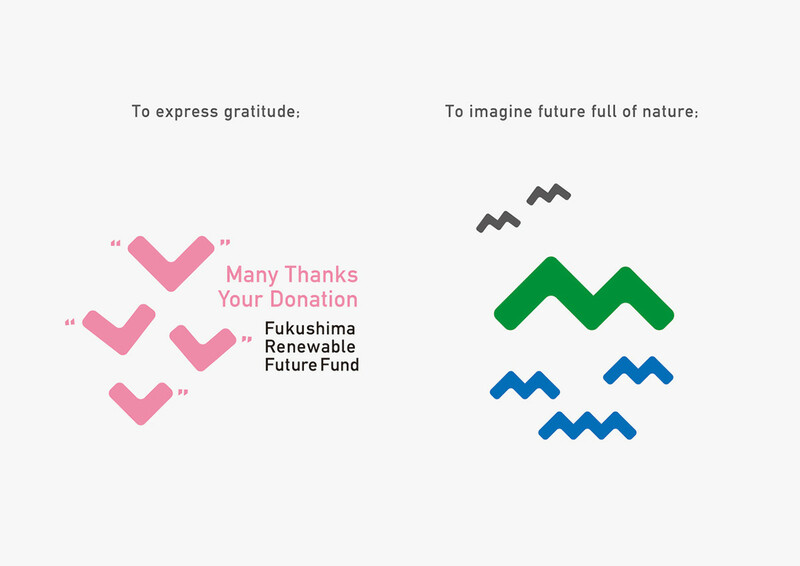 So the mark says one story as above; When every single hope and step gather and take collective action, we can move and change society and the movement makes the brilliant future of Fukushima and Japan. 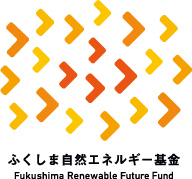 The symbol colour is Reddish Orange. 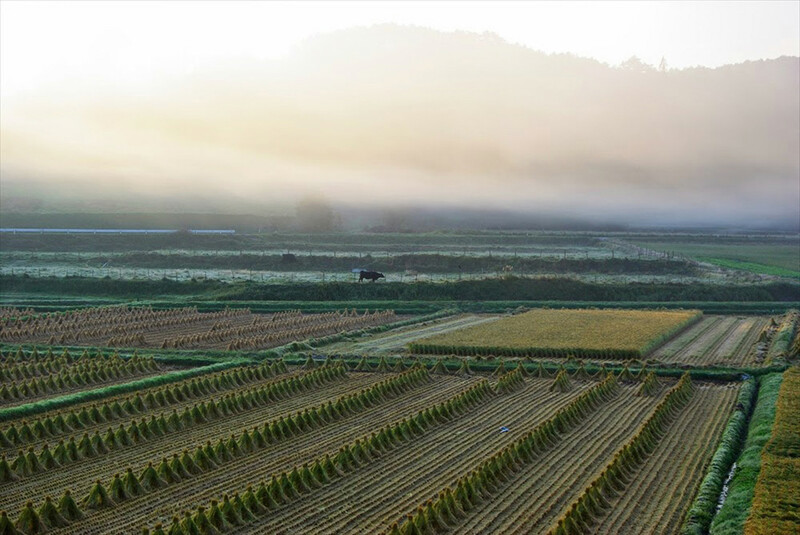 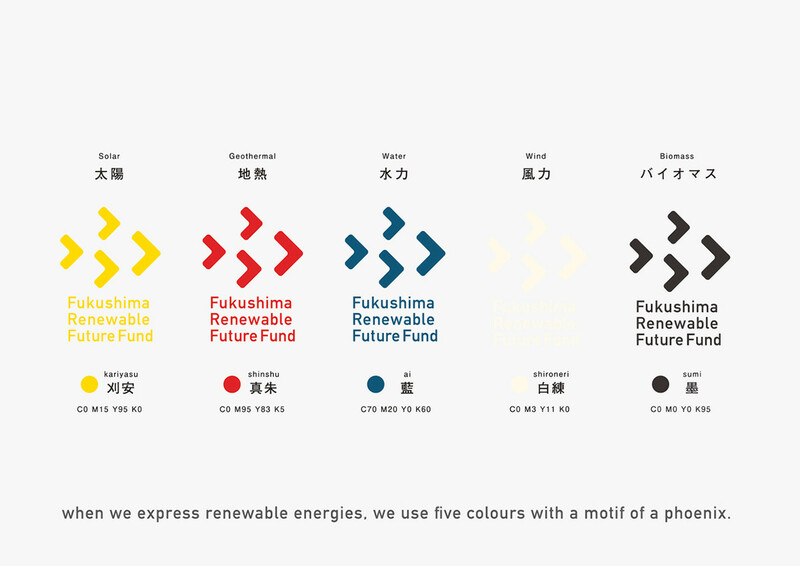 It is made as the main colour of the official flag of Fukushima, and we use the colour which means ray of hope or passion for the future. 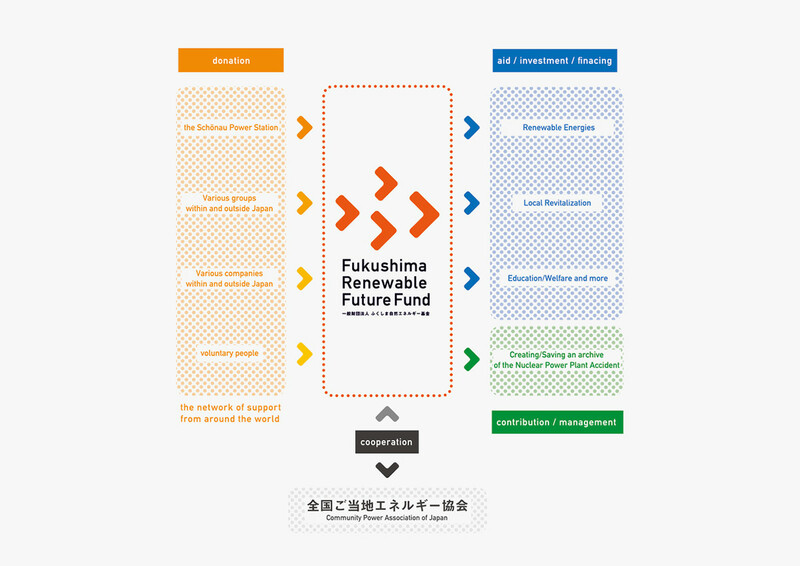 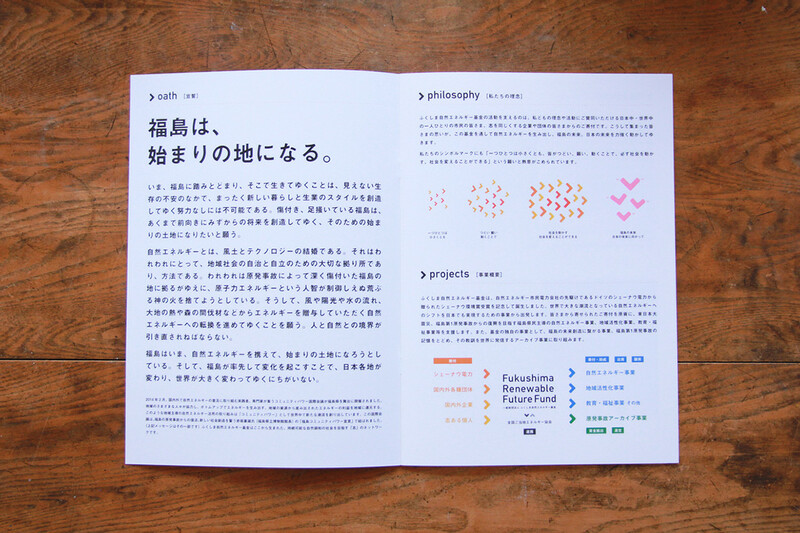 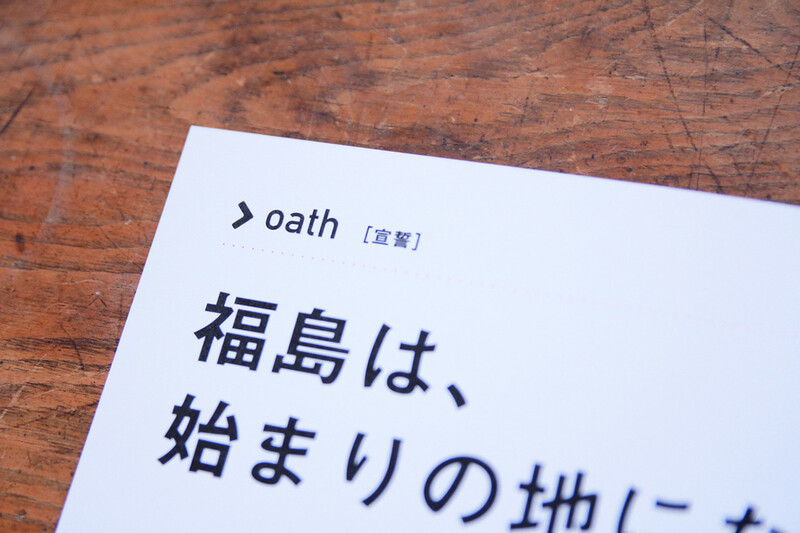 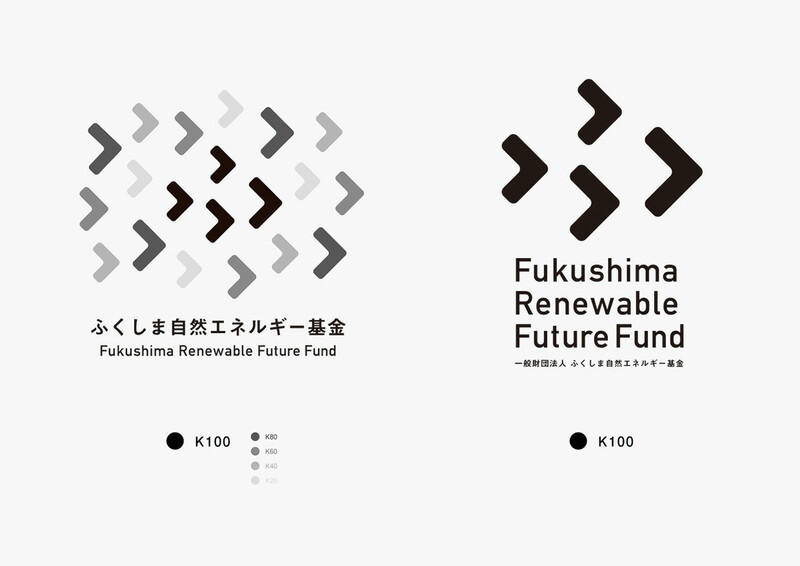 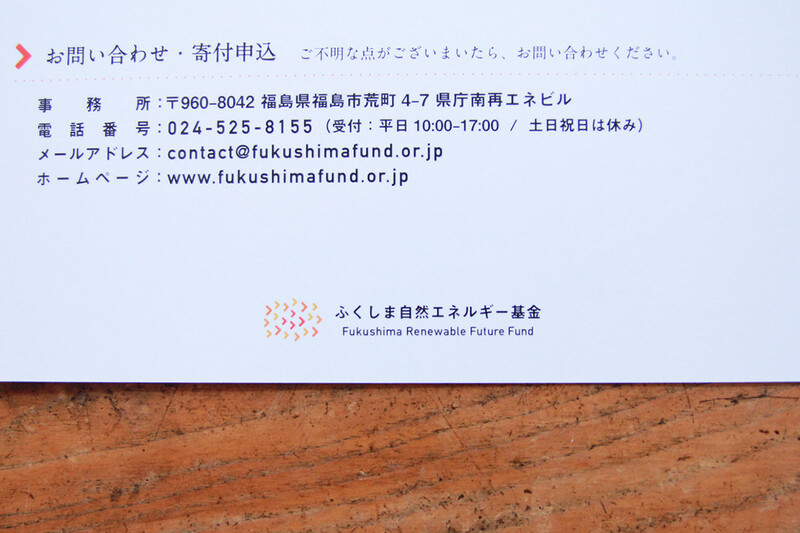 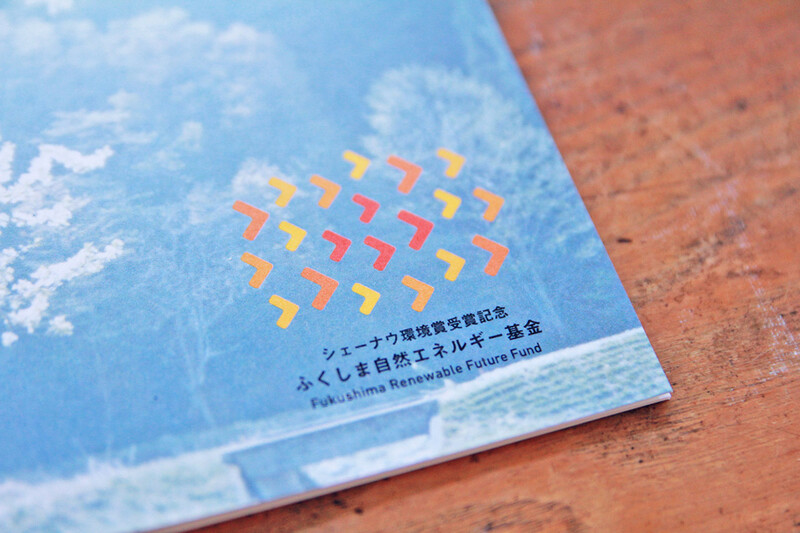 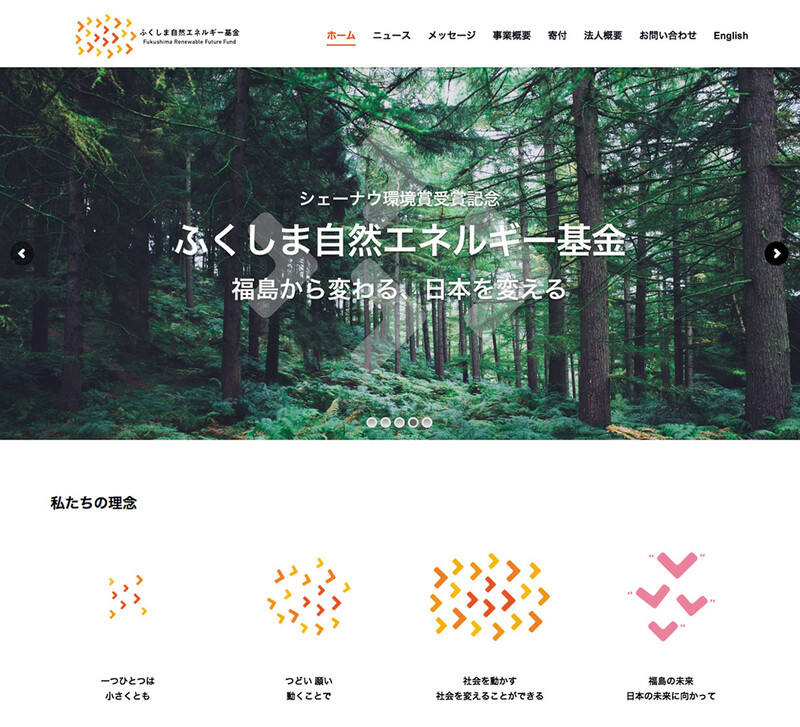 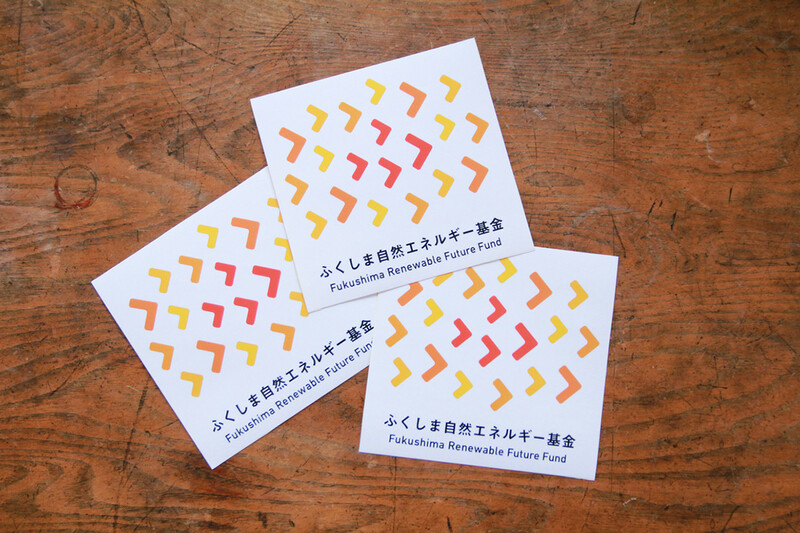 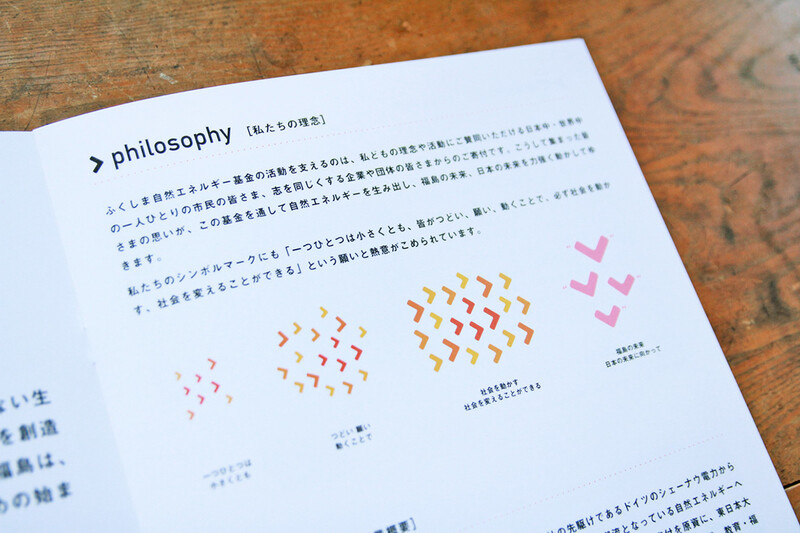 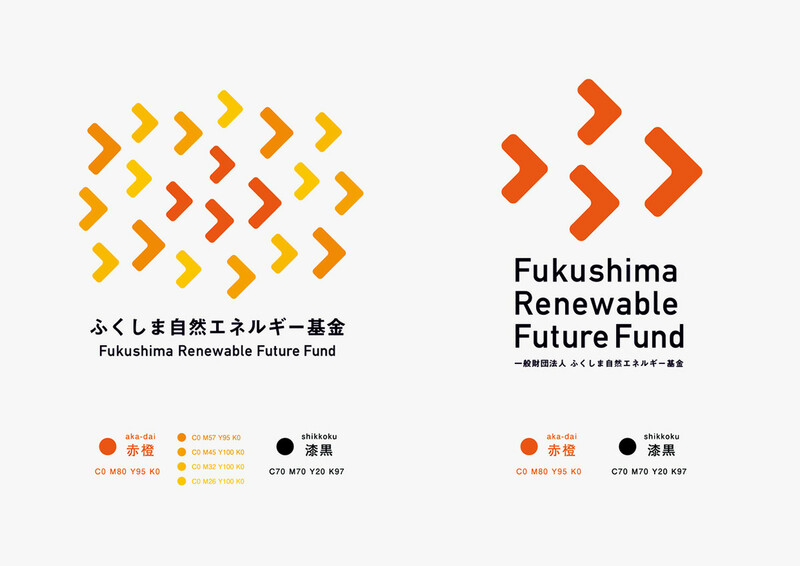 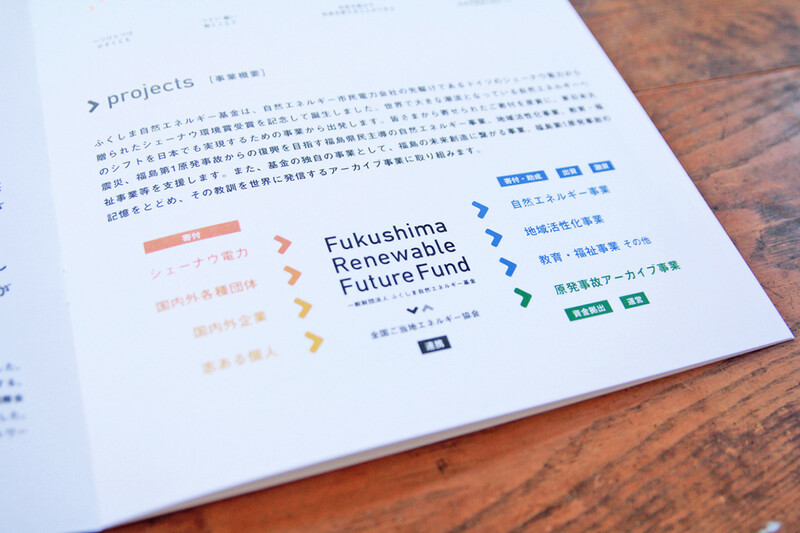 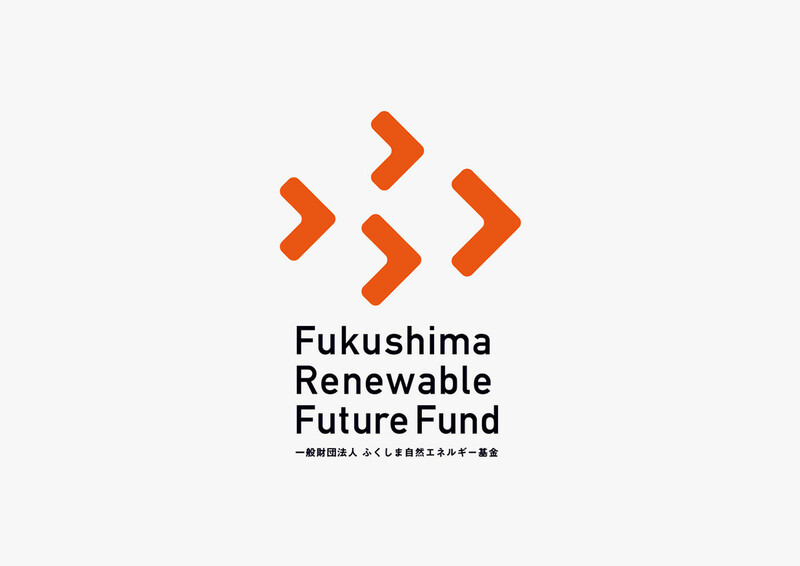 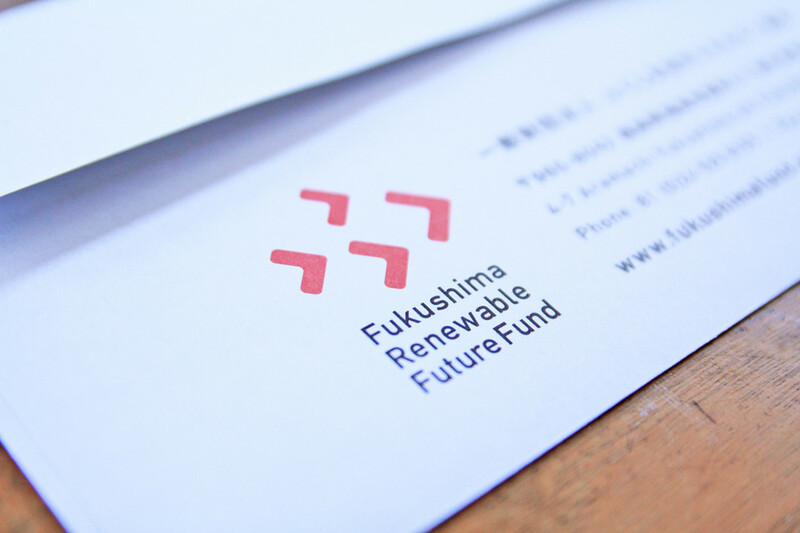 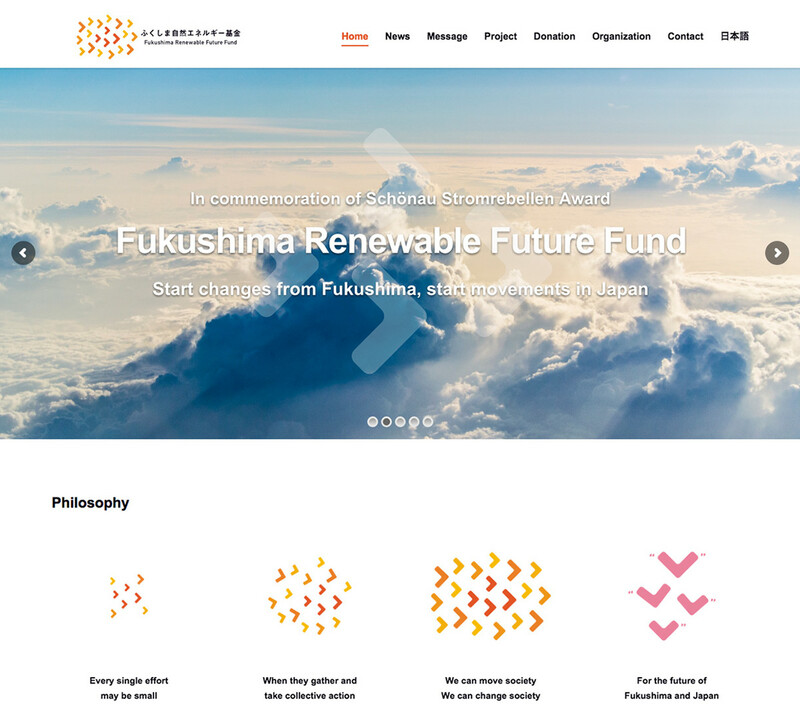 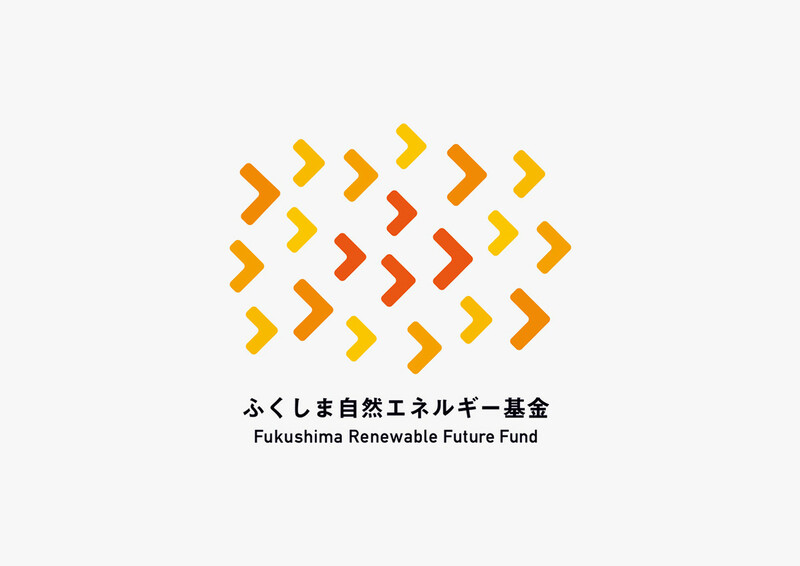 Some arrows around the main symbol mark are four sizes and four tones because this fund has four main projects—Renewable energy project, Recovery Project, Education/Welfare Project and Archiving project on the memory of Fukushima nuclear disaster. 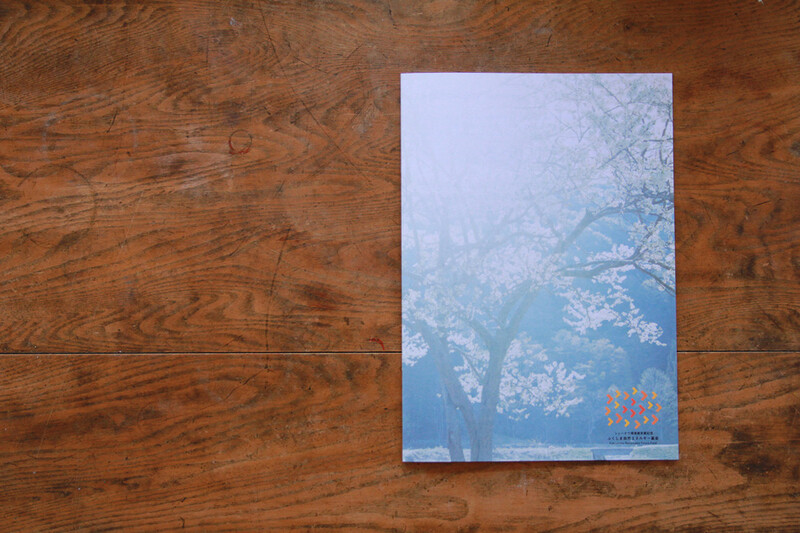 The whole image is associated with many brilliant lights. 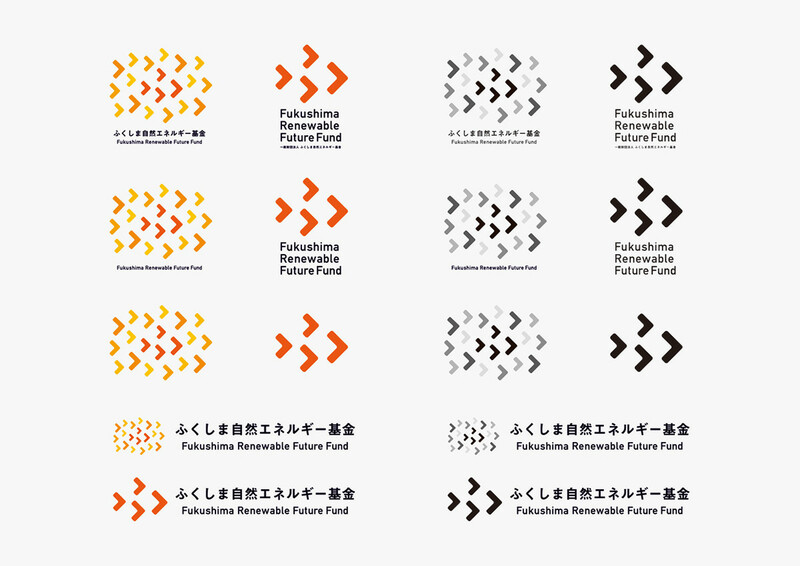 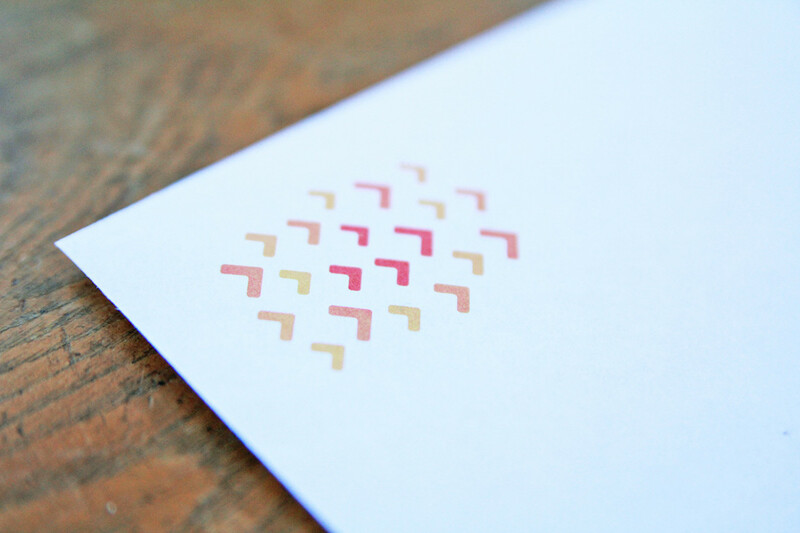 I proposed that these simple shapes of arrows of the symbol mark can express that all fund members have a common vision for the future by using a map for expaining some projects or making other marks for some messages.